Sony has a great 1.1" image sensor, but what lenses work best? Sony has a great new 1.1” Image Sensor, but what kind of lens can I use with this format? Computar MPY Series! If you have been around industrial camera lenses for a while, you know that there are many ½” and 2/3” lenses, not as many 1” lenses, but what do you do when you have a 1.1” sensor?! The solution? 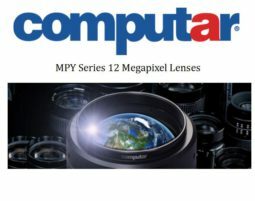 Use the Computar MPY 12 Megapixel lenses! If you have been following Sony’s new IMX image sensor product line, their newest sensors are based on a 3.65um pixel pitch. However, when you scale this up to their new 12MP sensor (Sony Pregius IMX253, IMX304), the sensor size becomes 1.1” (17.6mm diagonal) format. A 1” lens format will not cover this image circle and in turn has vignetting in your image (Read our blog post on sensor size vs. lens size ) . One possible solution is to use a 1” lens and vignette 5% on each side, or use a 1” lens and stop it down where the vignetting goes away. However this is not an optimal solution. A second solution is to use a F Mount lens, but if the camera is a C mount, you will need a C to F adapter, again less than ideal. Fortunately there are some C mount lenses that are greater than a 1” image format. 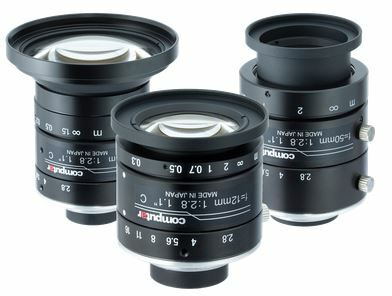 Kowa and Schneider both have been shipping 4/3” format lenses, although these are quite expensive. Recently, Computar has come out with a line of 1.1” format lenses SPECIFICALLY for this sensor! 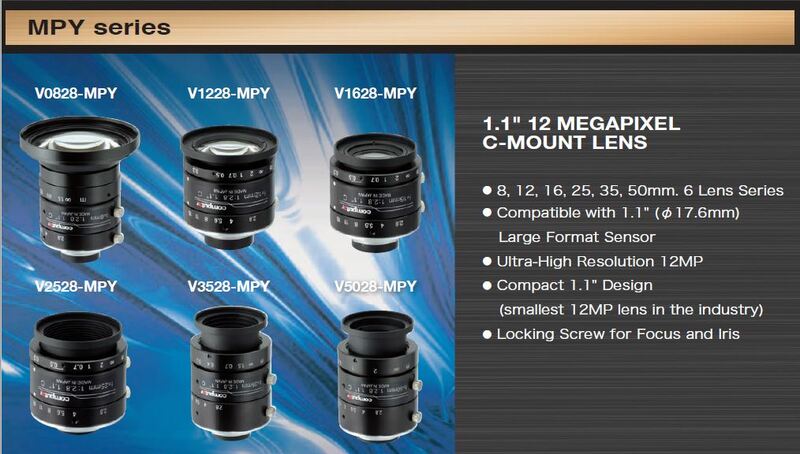 1st Vision’s sales engineers specialize in industrial imaging and can help you in the lens selection. Additionally, they can help ensure you have the best lens mated to the newer sensors to ensure the highest contrast. Previous PostPrevious What is a lens optical format? Can I use any machine vision camera with any format? NOT! What are the f-numbers on machine vision lenses? f-stop explained! Which Industrial camera would you use in low light? Please do not hesitate to Contact us! 1st Vision can provide a complete solution including cameras, lenses, lighting and cables. We have over 100 years of combined experience we can put to work for you!